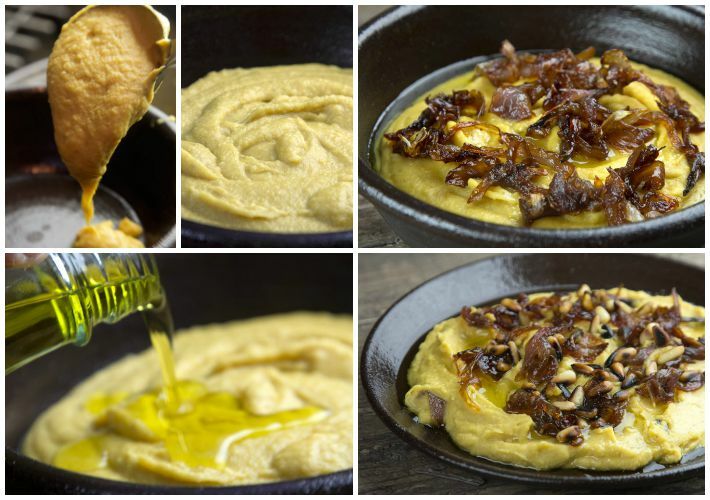 Fava is going to be the new hummus! 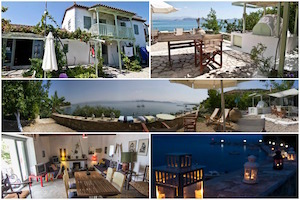 This is my new mission as self-appointed ambassador of the contemporary Greek cuisine! 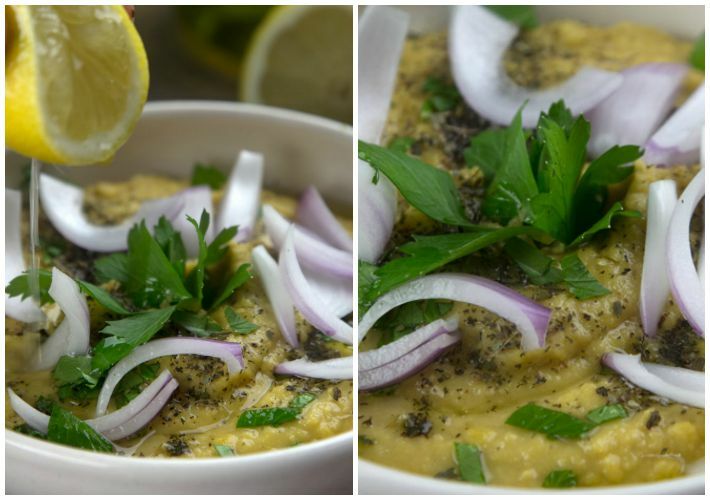 I find it very surprising that hummus has become ubiquitous on every supermarket shelf and every tray of canapés all over the world, while Greek fava is so little-known, despite being vastly superior in terms of taste and texture. 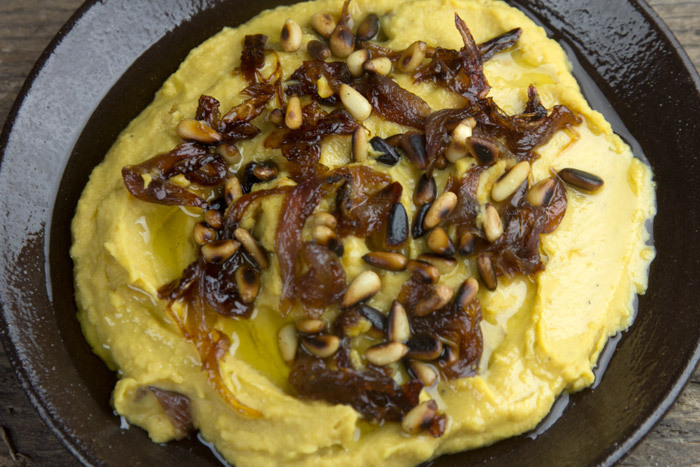 Fava is not made from fava beans as the name may suggest, but from yellow split peas. 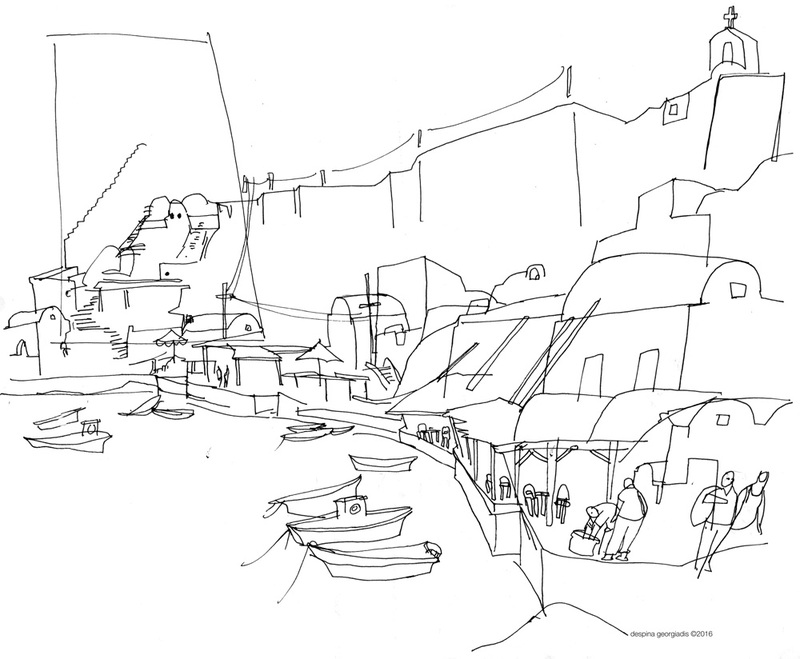 The best are produced on the islands of Santorini and Schinoussa and are priced accordingly high. 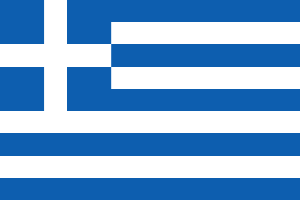 However perfectly good quality of yellow split peas for fava is produced elsewhere in Greece and abroad. 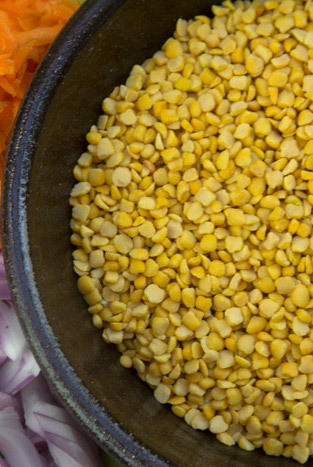 Our recipe narrows the gap significantly between the taste advantage of buying the top quality premium-priced fava and the regular split peas. 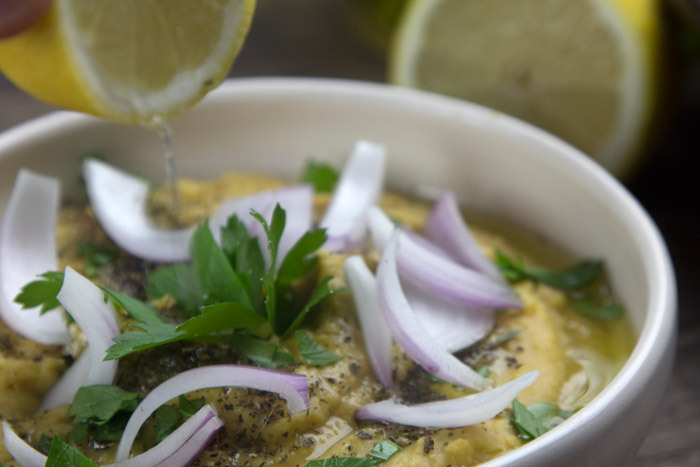 Fava dip is a key meze of the Cycladic islands in the Aegean and is a regular staple on the Greek taverna menu. 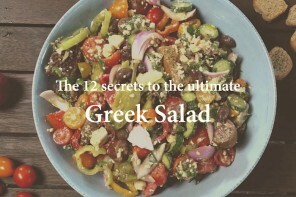 It is traditionally made by simmering the fava split peas with sautéed onions in water for an hour until they become the consistency of purée, and then serving them topped with freshly chopped raw onion, a generous drizzle of extra virgin Greek olive oil and finally a squeeze of lemon juice. 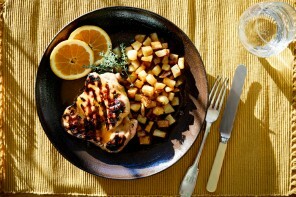 Dried, or even better, fresh oregano leaves are often the final touch. However the Caruso contemporary version of fava is one that wowed our customers when we served it at our restaurant on the island of Tinos. 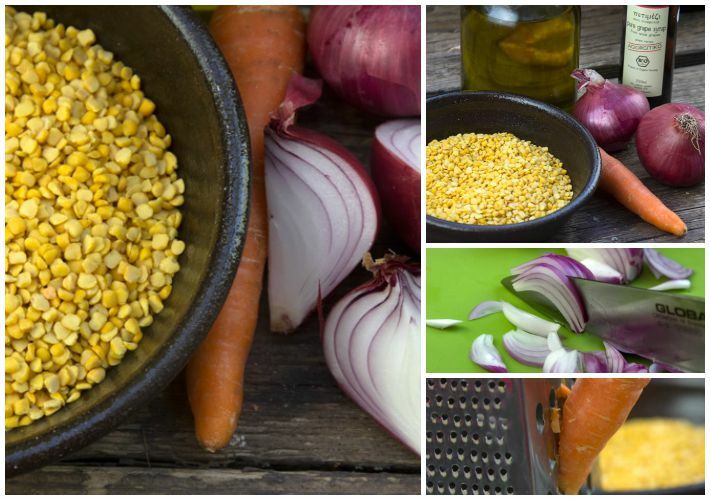 The difference is that we boil the fava split peas with a carrot as well as the onion, lending it an extra sweetness and contributing to an even silkier texture. 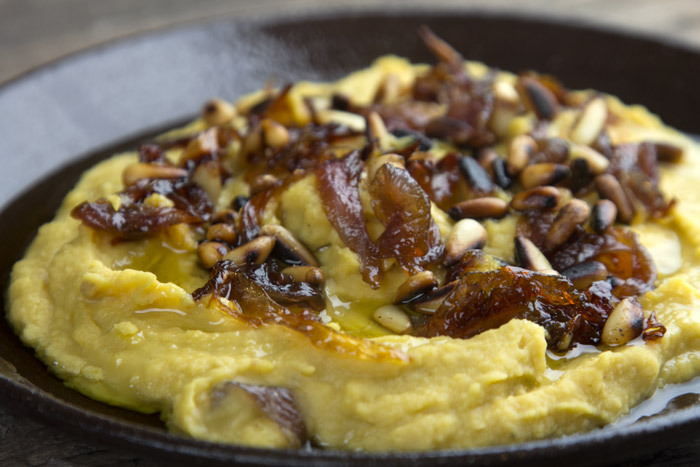 As a topping, we love to caramelise the onions, giving a luxurious smoky-sweet taste and add toasted pine nuts with the crunchiness giving great contrast to the smooth velvetiness of the fava. This version of the recipe makes it an ideal hors d’ oeuvre, even when the Mediterranean is far away. 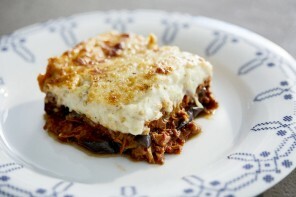 This is an easy recipe requiring just 5 minutes preparation and about 45 minutes cooking time. 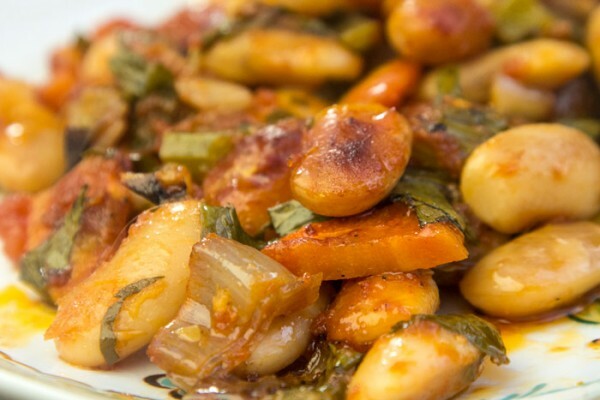 You need to simultaneously cook the split peas (fava) in a saucepan, caramelise the onions in a frying pan and toast the pine nuts. 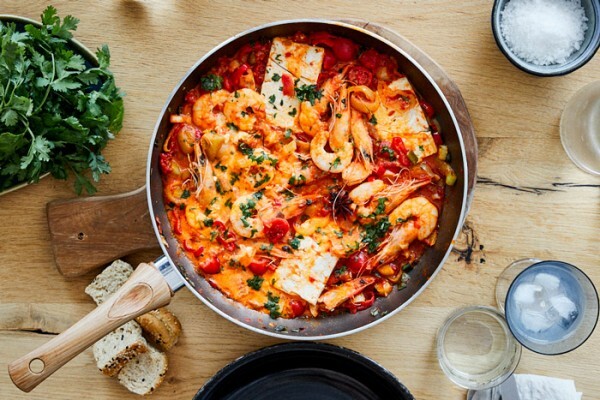 You don’t need to be glued to the stove for the whole 45 minutes, but you definitely need to have a look every five minutes or so after the first half hour, while they’re cooking. 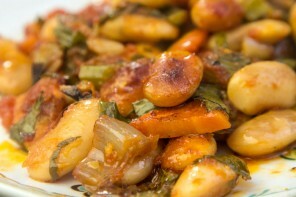 Fava is a typical example of the healthy Mediterranean diet. 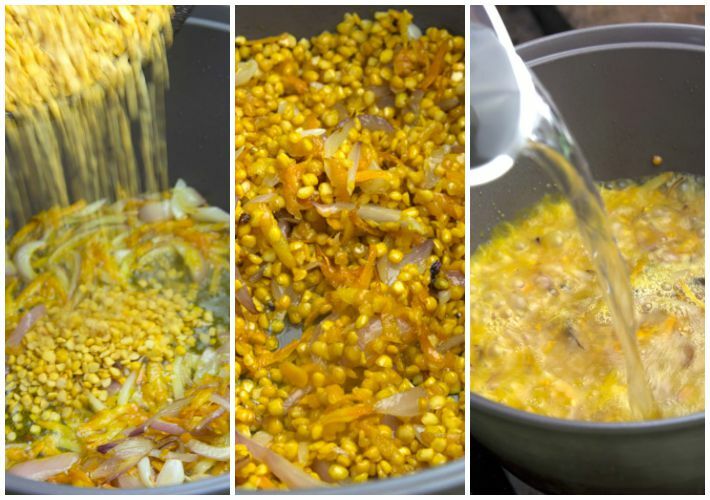 Yellow split peas are an excellent source of cholesterol-lowering fibre, protein, vitamins and minerals with virtually no fat. This is a fantastic dip! It is perfect for a party dip, hors d’oeuvre, picnic item or office lunch at the desk. In the unlikely event that you have any left over, you can keep it in the fridge in an airtight container. 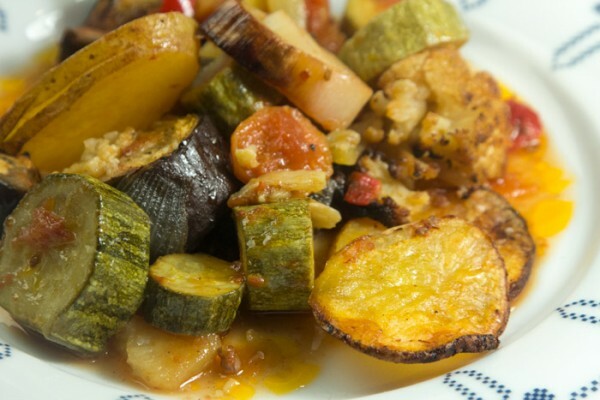 Note: An extra tip is to use cling film on the surface of the fava inside the airtight container, so as to ensure that the surface of the fava does not come into contact with the air, drying it out. 1. Chop the onion and grate the carrot. 2. 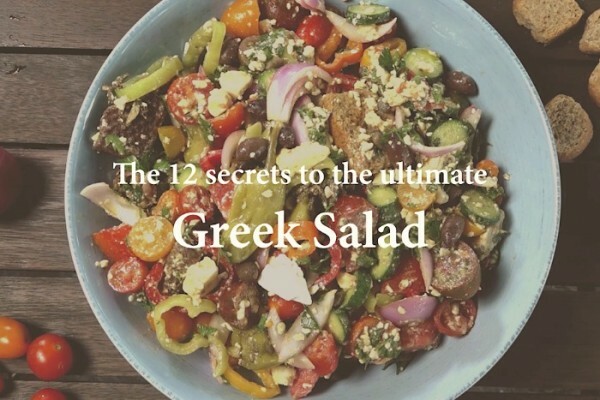 Pour the olive oil into a deep non-stick saucepan on a medium heat and once the oil is hot, sauté the onion and carrot gently for 4-5 minutes, stirring every so often. 3. 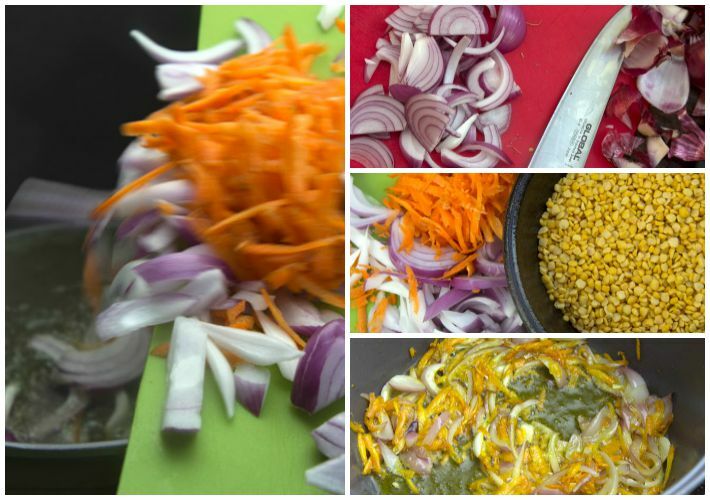 Add the fava split peas and sauté them with the onions and carrots for 2 minutes. Then add about 1.2-1.4 lt of the boiling water, leaving the rest to top up later if necessary. 4. 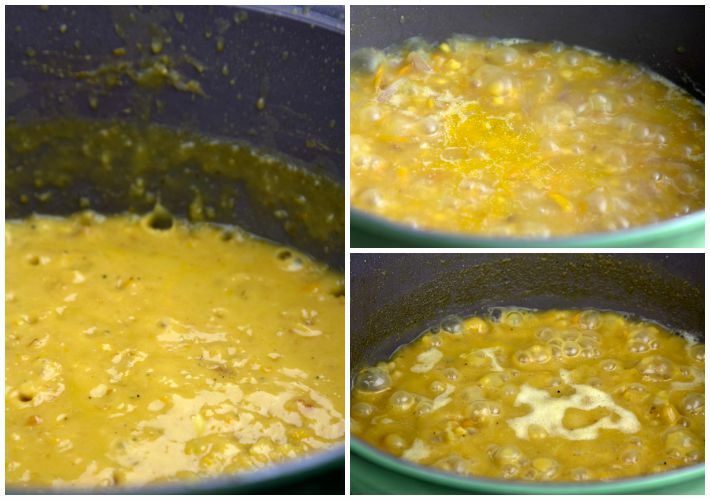 Simmer the fava split pea mixture, leaving the lid off the saucepan, stirring every so often. After about twenty minutes, check and stir more regularly to make sure the fava doesn’t stick as the liquid reduces. Add salt and pepper. 5. 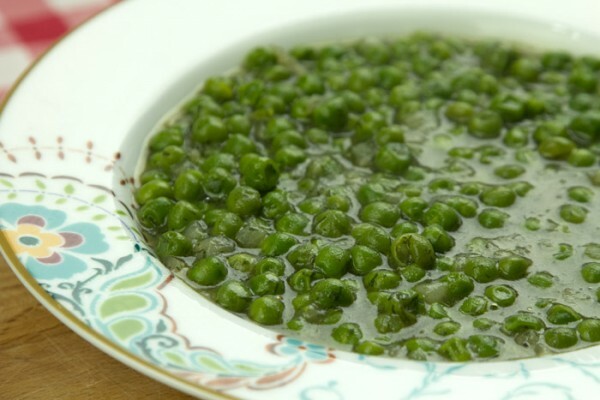 When the bubbles that come up to the surface of the fava begin to get smaller and start spitting – meaning that most of the water has gone – check that the fava split peas have softened to the stage that they have disintegrated into the consistency of a coarse purée. Usually this happens after about 35′-40 ‘, but do not take that as gospel, because both the fava split peas themselves and every cooker differs. If the fava still hasn’t reached the right consistency, but there is not much water left in the saucepan, add some more hot water in small amounts (100 ml at a time to be sure not to thin it too much), until the fava is totally ready. 5. 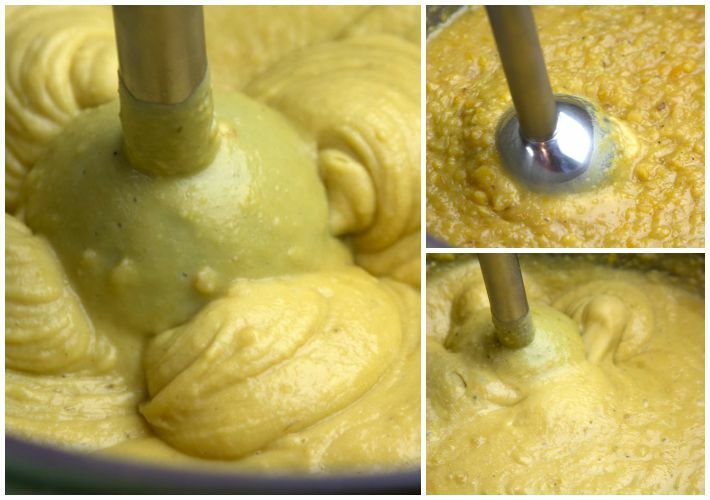 When the fava has become a thick coarse purée, remove it from the heat and purée with a hand mixer until it becomes totally smooth and velvety. Add salt and pepper to taste. 6. 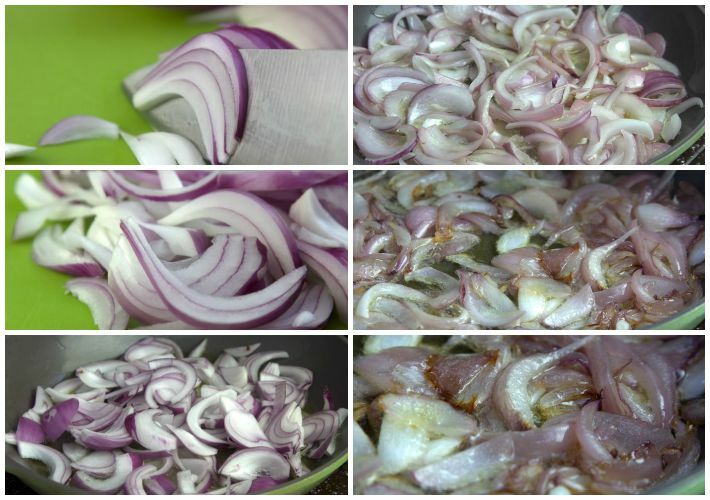 While following steps 3 & 4, prepare the caramelised onions. 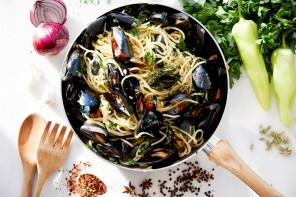 Pour 20ml olive oil into a non-stick frying pan on a medium to low heat and once the oil is hot, sauté the onions slowly. Stir every few minutes and wait for the onions to begin to caramelise, gradually releasing their juices and allowing their natural sugars to sweeten them. 7. After about 10-15 minutes, depending on your cooker, the onions should have caramelised enough for you to add the balsamic glaze. Add the glaze, stir well and continue sautéing for another ten minutes until you see that most of the liquid has been absorbed by the onions. 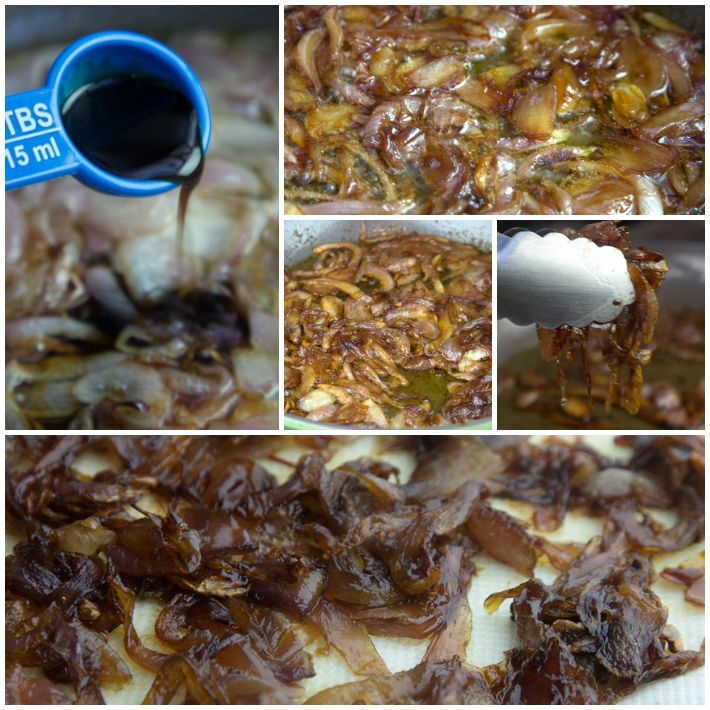 Remove the onions with tongs and place on a dish lined with kitchen paper to absorb the oil. 8. 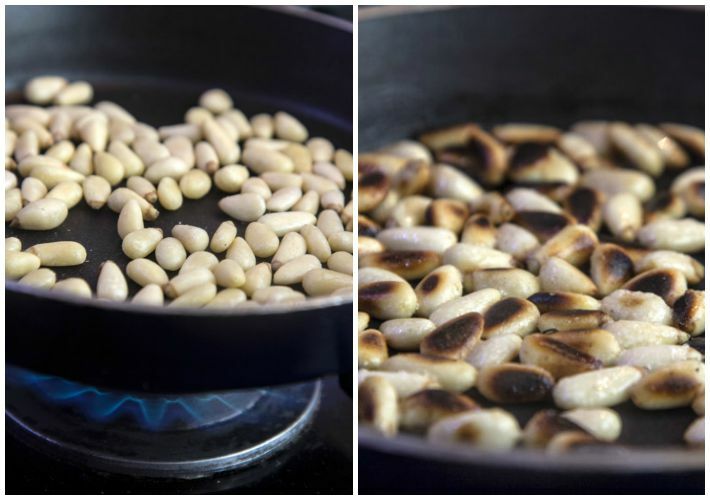 While the fava is cooking and you’re caramelising the onions, grab 2-3 minutes in order to toast the pine nuts in a pan just as they are, without any oil, on a low heat so they don’t catch and burn. Caution: Pine nuts need very little time to toast and catch very easily, so you must stir them for 1-2 minutes, and shake the pan constantly. 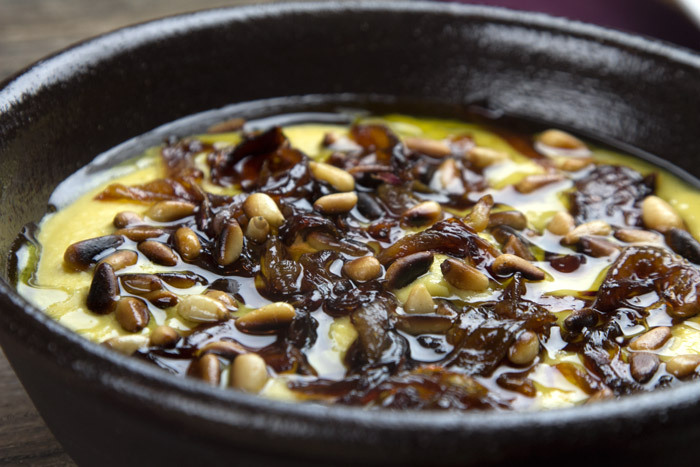 Place the fava dip in a bowl or dish and sprinkle the caramelized onions and pine nuts on top, and finally drizzle 1-2 tablespoons olive oil over it. 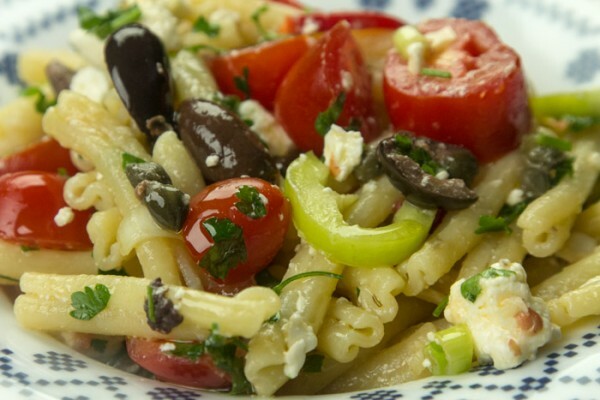 Make sure you use top quality Greek extra virgin olive oil to enhance the flavour. 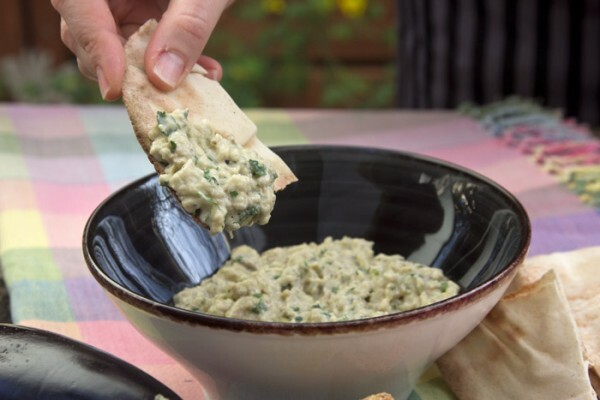 Alternatively you could serve the fava with a more traditional topping of chopped spring onion, oregano, a little chopped parsley and a squeeze of lemon.